Gimp for Mac - GNU Image Manipulation Program used to edit & manipulate images. Adobe Acrobat Pro for Mac - communicate & collaborate securely using PDF files for Mac. Microsoft Office 2008 for Mac - Achieve more with the power of reinvented Office 2008. ACDSee for Mac - Fast image viewer & image browser for Mac Free YouTube Downloader for Mac - Detect videos from YouTube site. StuffIt Standard 2009 for Mac - An archive-building program for various archive types. 7-Zip for Mac - A file archiver with a high compression ratio for Mac OS X. WinRAR for Mac - WinRAR for Mac is compression tool for Mac OS MacZip for Mac - MacZip is zip tool of zipping/unzip for Mac. Adobe Photoshop CS3 for Mac - Offers unrivaled digital-image-editing power. The Sims 2 University for Mac - A strategy game, creativity tool for Mac OS. FLV Crunch for Mac - Convert files: flv, mpg, vob, mp4, mov, 3gp, mp3, wma, ect. Apple Quicktime For Mac OS X - Apple Quicktime Media Player for Mac OS X Switch Audio Converter for Mac - Convert different audio files to mp3, wav or wma. Hotspot Shield for Mac - Keep Internet connection secure at public home & work. iSquint for Mac - An iPod video conversion app works with almost all video formats. RAR Expander for Mac - a Mac OS X program extracts the files contained in RAR archives. Avast Antivirus for Mac - An antivirus solution for Apple Macintosh machines. Skype for Mac - A software for calling people on computers or phones. Apple GarageBand for Mac - An application allows users to create music or podcasts. Toast Titanium for Mac - To save & share digital music, movies & photos on cd/dvd..
Adobe Reader for Mac - A free software for viewing and printing Adobe PDF files. OpenOffice.org for Mac - For word processing, spreadsheets, presentations, graphics... Yahoo Messenger for Mac - A software to stay in touch with friends. 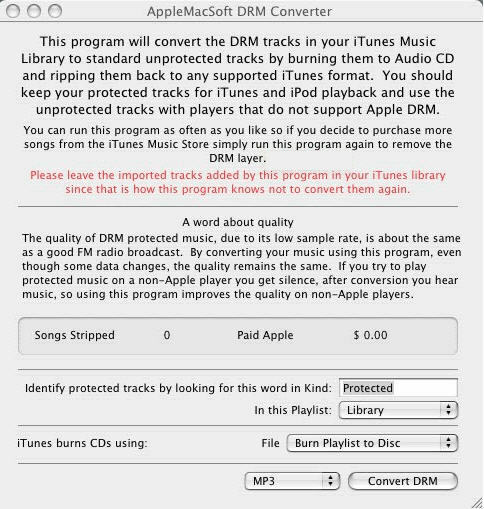 iPod to Mac Transfer - Transfer iPod/iPhone music, videos, podcast, and TV shows to iTunes on Mac. iAntiVirus Free Edition for Mac - A protection for Mac against spyware/adware/trojans/viruses. LimeWire (Classic OS) for Mac - A P2P file sharing interface for Mac 8-9. DAZ Studio for Mac - A free, feature rich 3D figure design and 3D animation tool. Senuti for Mac - A Mac application transfers songs from iPod or iPhone to computer. iPhoto for Mac - A software manages your photos as easy as taking them. OsiriX for Mac - An image processing software dedicated to DICOM images. Cyberduck for Mac - An open source FTP, SFTP, WebDAV... browser for Mac OS X. Vienna for Mac - An open source RSS/Atom newsreader for Mac OS X operating system. OnyX for Mac - A multi-function utility maintains & optimizes Mac OS X system. Adium for Mac - A free instant messaging application for Mac OS X. Picasa for Mac - An application for organizing and editing digital photos on Mac OS X.
iMovie HD for Mac - A software can throw together a few video clips, fine-tune every edit. QuarkXPress for Mac - A powerful page layout program available on the Mac OS X. Thunderbird for Mac - Mozilla mail makes emailing safer, faster & easier. DVD Ripper for Mac can rip DVD to video formats like AVI, MPEG, WMV, DivX, RM, MOV, 3GP, 3GP2, MP4, MP4 AVC, etc. as well as rip DVD to audio formats including MP3, WAV, WMA, AC3, M4A(AAC), OGG, RA, AU, etc. The Mac DVD to MP4 Converter can rip DVD to video formats on Mac, like DVD to AVI, DVD to MP4, MP4 AVC, MPEG, DIVX, etc., as the Mac DVD Audio Ripper can rip DVD to audio formats including MP3, AAC, M4A, etc. Xilisoft DVD Copy for Mac can not only copy DVD movie to ISO file, DVD folder and back up DVD to hard disc drive, but also burn ISO file and DVD folder to DVDs. It can rip DVD to video formats like AVI, MPEG, WMV, DivX, RM, MOV, 3GP, 3GP2, MP4, MP4 AVC, etc. As DVD Audio Ripper, it can rip DVD to audio formats like MP3, WAV, WMA, AAC, AC3, M4A, OGG, RA, AU, etc. It can convert almost all video/audio to Apple TV video/audio, and iPod video. It can convert video to iPod MP4 for Video iPod and new iPod 30GB and 80GB together with the resolution for 640 x 480. It is a smart Mac DVD to MP4 converter on Mac OS X to rip DVD to MP4, iPod MP4, PSP MP4 fast and easy. It is also a Mac DVD audio converter that can rip DVD to MP3, AAC, M4A with great audio quality. Convert AVI to DVD, MPEG to DVD, DivX to DVD, burn DVD folder to DVD, DVD ISO file to DVD for Mac! The Mac DVD burner can convert popular video formats such as MPEG, DivX, WMV, XviD, DV, VOB, AVI to DVD and burn DVD movie to be played on portable or home DVD players. It can convert movie DVD to iPhone MP4 video and M4A audio with excellent quality, fully compatible with iPhone, iPod and Apple TV. Convert DVD movie to iPhone with specified subtitle and audio track. It can convert movie DVD to iPod MP4 video and M4A audio with excellent quality, fully compatible with 5.5G iPod and the other generations iPod Video, iPod Nano and iPod shuffle. Besides being a DVD ripper. iPod to Mac Transfer is so powerful that you can easily use it to transfer iPod video, iPod music, podcast and TV shows from your iPod or iPhone to Mac. Apart from that, it can add all these files from your iPod or iPhone to iTunes library. The Mac DVD Ripper can rip DVD to video formats on Mac, like DVD to AVI, DVD to MP4, MP4 AVC, MPEG, DivX, etc., while the Mac DVD Audio Ripper can rip DVD to audio formats including MP3, AAC, M4A, etc. It can convert between almost all video and audio formats like MOV, AVI, WMV, MPEG1/2/4, 3GP, ASF, MP4, MP2, MP3, WMA, OGG, AAC, M4A, WAV and AC3 etc. It works excellently for almost all popular video players like iPod, Apple TV, PSP, PS3, Zune, Archos, iRiver and Creative Zen etc. It can rip and convert DVD to iPhone support video and audio formats. It can convert all video and audio files AVI, MPEG, WMV, MOV, MP4, VOB, AAC, AC3, MP3 etc to iPhone, iPod video and audio formats MP4, MP3, M4A. It is professional in converting DVD to iPod video MP4 for Video iPod, iPhone mobile and new iPod 30GB and 80GB with the resolution for 640 by 480. It can convert DVD to iPod audio formats like M4A(AAC), MP3 etc. Scared of the terminal or can't be bothered to remember those commands to customize your system the way you want? Mac Pilot is your digital savior. Easily enable and disable hidden features in Mac OS X, optimize and repair your system, and perform numerous routine maintenance operations with the click of a button!